The Democratic Republic of Congo (DRC) has been called “the worst place in the world to be a woman.” Decades of instability have left the majority of the population in poverty, and the maternal and infant mortality rates are among the highest in the world. Access to quality healthcare is limited, particularly in rural areas. Most troubling is the unprecedented use of sexual violence throughout the country. All of these issues have a devastating impact on women, and are correlated to the many cases of fistula that occur in DRC. Our partner HEAL Africa was founded and staffed by Congolese professionals whose approach integrates healthcare and community development. The dedicated hospital team provides fistula surgery and care to women in need in eastern DRC. 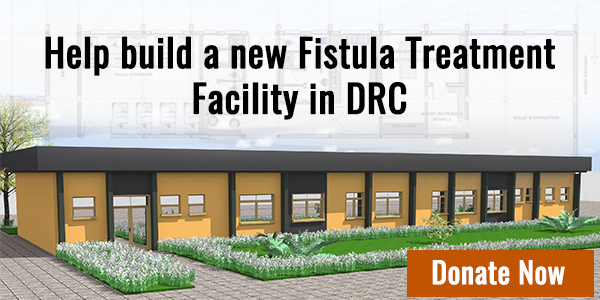 The time has come to help HEAL Africa build a new fistula treatment wing for its hospital. The new facility will expand surgical capacity, as well as increase dedicated space for services provided to women as part of a larger hospital building project. Watch this video to learn more, and donate today to make this facility a reality!